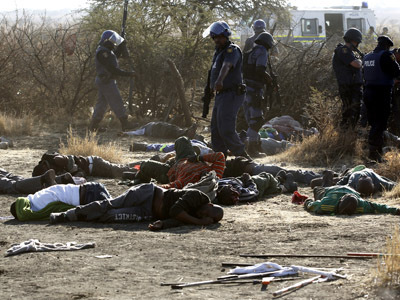 Lonmin, world’s third largest platinum producer says violence has spread to its eastern operations threatening to revive a labor strike which left 44 dead. "There have been incidents of intimidation towards bus drivers overnight as well as intimidation of eastern workers this morning, preventing them from coming to work," the company said in a statement on Monday. 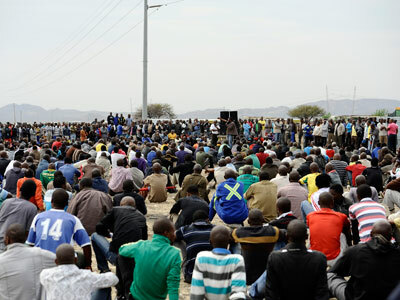 Operations at Lonmin mines in South Africa have been suspended for two weeks following a wildcat strike by some 3,000 of its workers demanding a 300-percent pay rise. Last week’s strike turned into violent clashes between workers of rival unions. 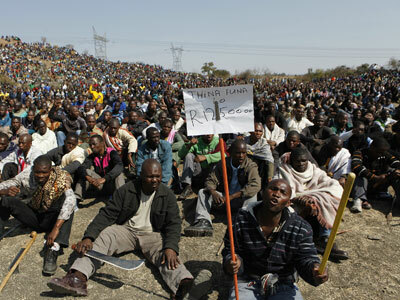 As a result 260 mineworkers were arrested following protests at Lonmin's platinum mine. Thirty four people were killed and over 78 wounded as police tried to disperse protesters. Ten people had died in violence during the week before the clash. The company says only about 13% of its 28,000 workers have returned to work on Monday morning, which is insufficient to resume ore extraction. 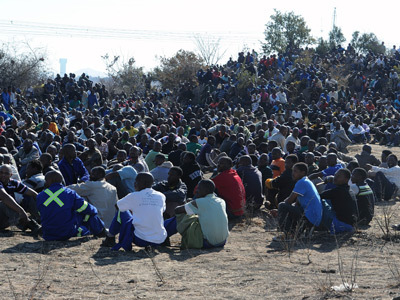 Meanwhile, the National Union of Mineworkers said workers at a mine run by junior producer Eastern Platinum in South Africa were blocked from going back to work by people believed to be colleagues. The police continue to patrol Lonmin’s mining area. Since the company’s mines are still idle, Lonmin also said it may have to issue new shares to mend a balance sheet hit by the loss in production and revenue.